“The Veldt” is a powerful song, but underneath it is an even more powerful story. 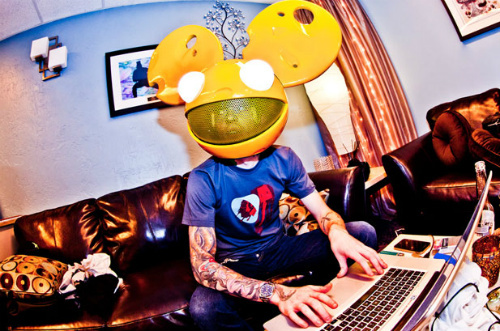 Deadmau5 had created the track originally as an instrumental, uploading it to his Soundcloud for his fans to enjoy. Chris James, a virtually unknown pop artist from Long Beach, California, decided to write and record a vocal verse over part of the song. He shared it on his Soundcloud, and other Deadmau5 fans immediately reacted, praising the work and tweeting the track to Deadmau5. Deadmau5 found the vocal recording, fell in love, and soon thereafter got in contact with James to record more vocals. Deadmau5 decided to release the new version of “The Veldt” as a single, and it currently stands at #166 in the top 200 iTunes songs. “The Veldt” takes inspiration from the Ray Bradbury story of the same name, and both the production and lyrics are based off of the short story’s plot and content. Deadmau5 crafted the song using foggy, piano-fed, optimistic trance, kept aloft by a modest dance beat. Chris James adds further ambiance to the track, his voice soft, but with enough of a rough edge to give the song a brush of human emotion. “The Veldt” skirts on the edge of drawing comparisons to Owl City, but luckily Deadmau5’s production is strong enough and James’ vocals are unrefined enough to give “The Veldt” it’s own kind of unique musical identity.